Nutrience is offering a great freebie! 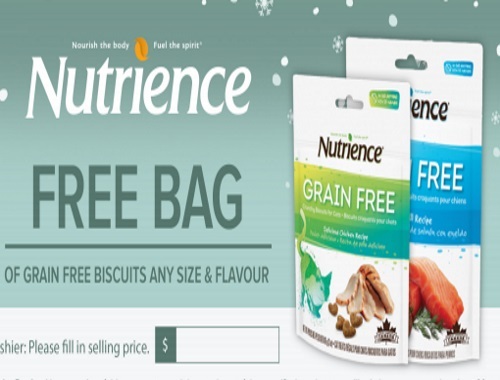 Get a Free bag of Nutrience Grain Free Dog or Cat Biscuits with the coupon below! Valid on any size and flavour. Limit one coupon per item purchased. Offer is valid until January 31, 2017.